Public Image Ltd celebrate their 40th anniversary with a career spanning boxset The Public Image Is Rotten (Songs From The Heart). The boxset includes singles, b-sides, rarities, alt mixes, radio sessions, unreleased mixes, live material, and much more. The CD edition of the collection comes with two DVD that include promo videos and two full concerts. The collection also is available as a 6 LP set with download code. The Public Image Is Rotten (Songs From The Heart) comes housed in a debossed black and gold foil box and also includes a 72 page book, poster, and prints. The set arrives July 20th and is available to pre-order here. Stream the live version of "Warrior" from The Public Image Is Rotten (Songs From The Heart) and view the tracklisting for the CD/DVD edition of the boxset below. 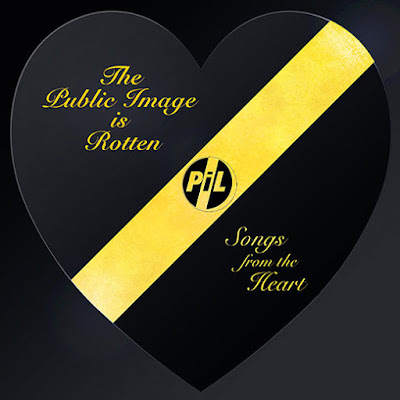 PiL also recently announced plans to screen the documentary The Public Image Is Rotten worldwide. Screenings in the U.S. and Canada will take place later this year. PiL's anniversary world tour kicks off next week in Bristol. No North American dates have been announced.